Coach Glass stocks all the traditional parts for ladder trucks, airporters, pumpers, tankers, ARFF and more. We are also utilizing our expertise and drive to develop new trends in the fire apparatus industry. 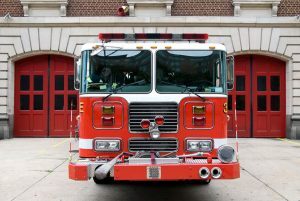 Are you a fire apparatus manufacturer? 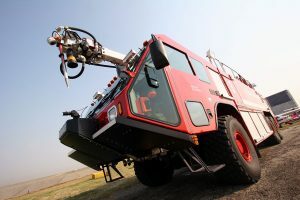 We proudly produce original equipment products for many fire apparatus companies, including E-One, Ferrara, HME, KME, Rosenbauer, Seagrave and Spartan. We enjoy working on unique projects and we are always willing to add to our extensive inventory of windshields and side glass to meet your needs. Would you prefer to design your cap to accommodate an existing glass design and save on development costs and time? We can help. Consult with Coach Glass early in your development projects so we can help you achieve your design and delivery goals. 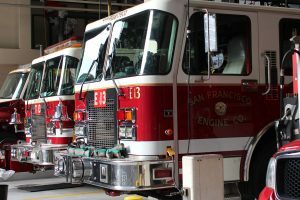 Many fire apparatus companies produce the same or similar front caps, making it difficult to identify the correct windshield for your vehicle. Our dedicated, experienced team can help you quickly identify what you need to get your fire apparatus back on the road. Coach Glass offers both current and obsolete aftermarket fire apparatus glass. Our inventory includes toughened laminated glass to help prevent frequent change-outs for parts that are subject to more abuse. Coach glass encourages innovation in the fire apparatus manufacturing industry. If you need a specialty windshield or side glass for a fire apparatus vehicle, request a quote or reach out to us about our product offerings. We either have your product in stock to ship, or we’ll work with you to get the glass that you need. Can’t decide which windshield will fit your next product design best? Visit our product development page to learn more about our capabilities and partner with Coach Glass’ engineering team to find the perfect glass for your product.